OLD PARKED CARS. 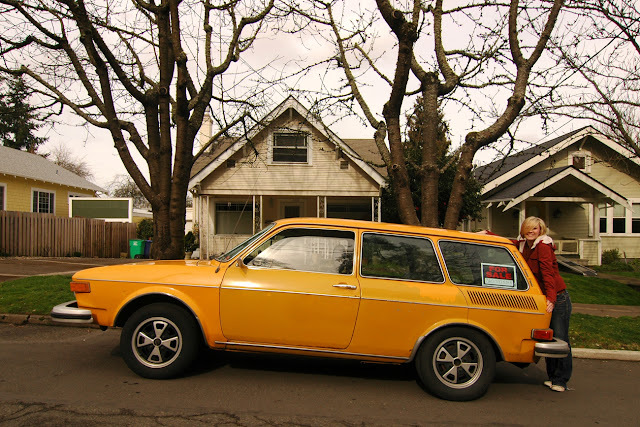 : 1974 Volkswagen 412 estate and Heather. 1974 Volkswagen 412 estate and Heather. I'll buy the car on the condition that Heather delivers it! Should I give her directions to Pennsylvania? lovely color on a cool, rare car that i'm glad i don't own. what got me most was picture #1. portlanders should recognize the landmark building (where ben happened to work for an extended time), but i had to go to google earth to figure out that there really was a residential street with this view. it would be weird to have that building looming over you every time you walked outside. A car that seemed like a great idea (two trunks! Beetle reliablity!) that just didn't work in reality. VW's attempt at a luxury model (only offered with an automatic in the US) was also saddled with vaporlock-prone mechanical fuel injection and such amusing features as a gasoline-fired heater with a timer (that's the green button in the 4th pic...you could turn it on to pre-warm the car 15 minutes before you started the engine). 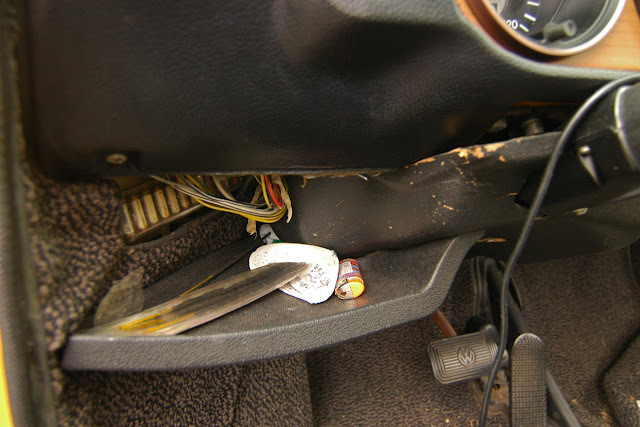 The battery is under the driver seat, convenient for jump starting! The windshield washers are pressurized by the spare tire (choose one, clean window or inflated spare)... 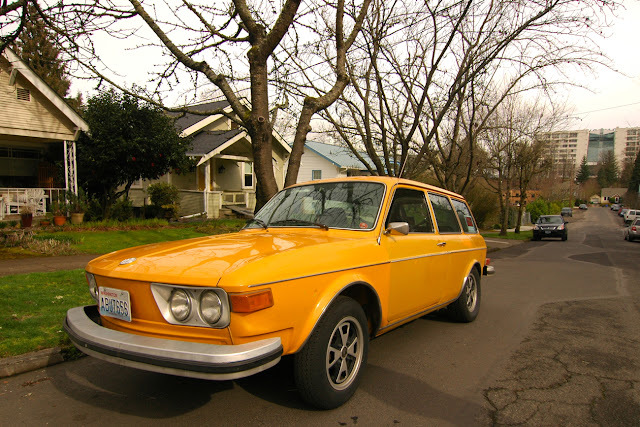 Still kinda handsome, though, especially in its original "Chrome Yellow" color. Cute pic of Heather, too... is she the brave owner? you guys are blowing this blog up! What a shade of yellow, looks great with the wheel choice. 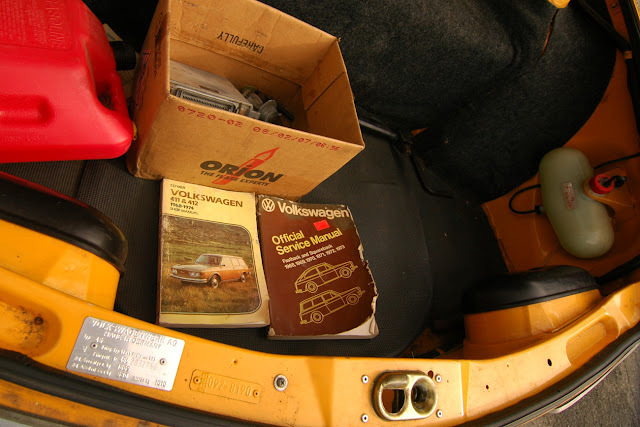 Is that an old radio in the "ORION" box? 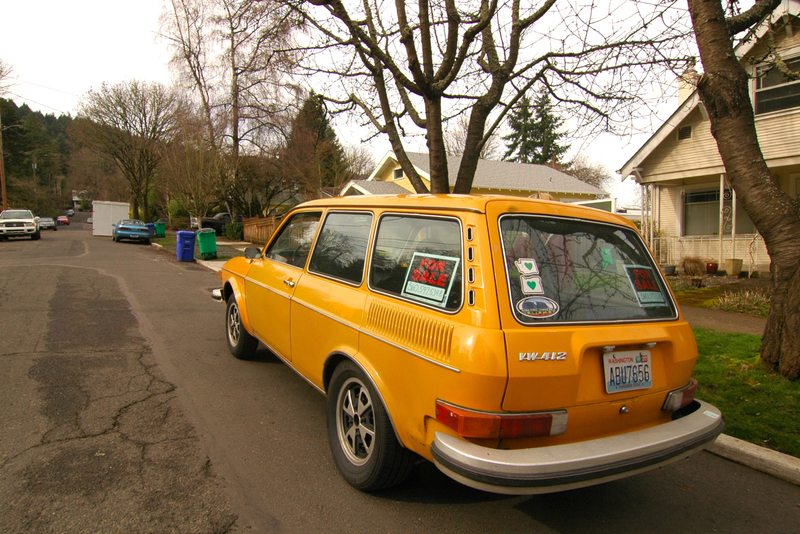 Nice find, probably the rarest Volkswagen in America. I'm not sure what's cooler: the car, or a cute girl who owns a car like this. Based on that photo, Heather reads like the adorable female lead in a quirky romantic comedy. Type 4s were incredible expensive when new so the sales were worse than poor. It's also a big car compared to any of the previous models. 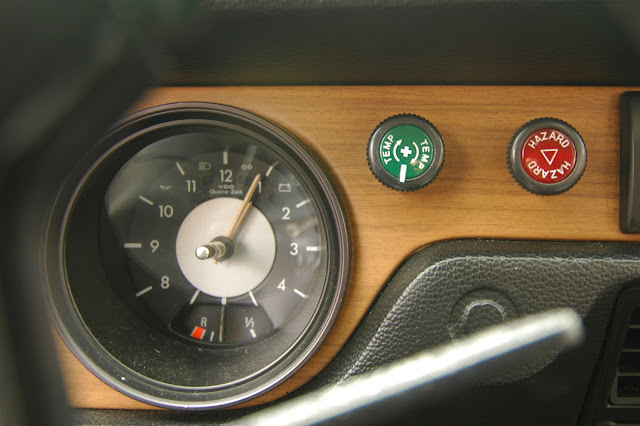 After oil crisis fuel consumption was becoming significant and type 4 engine isn't economical, even with fuel injection. "The battery is under the driver seat, convenient for jump starting!" And it was under rear seat in Beetle. Point being? These need jump starts as often as any new care, i.e. never.
" The windshield washers are pressurized by the spare tire (choose one, clean window or inflated spare)." Wrong again. Inflation pressure for spare tyre is 3 bars and washer uses only one from that (and it's empty hten), leaving 2 bars. Which happen to be the standard pressure for driving. You really think engineers in VW hadn't thought about that? How much for this car? I really want a 412! Spiff, your comments are beyond incorrect. 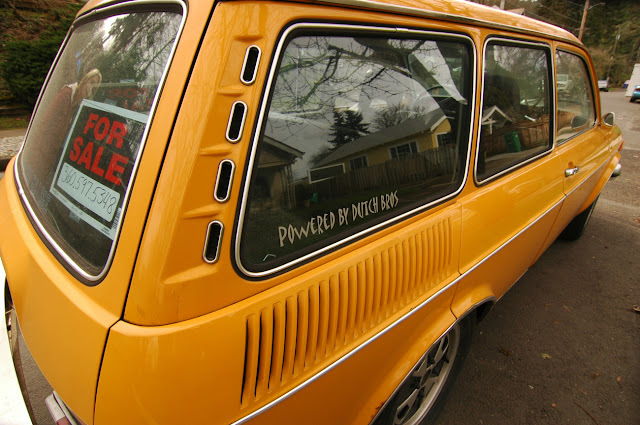 The extra gas heater had been around in VW's for decades, not really "amusing". The fuel injection was not mechanical, wrong again.